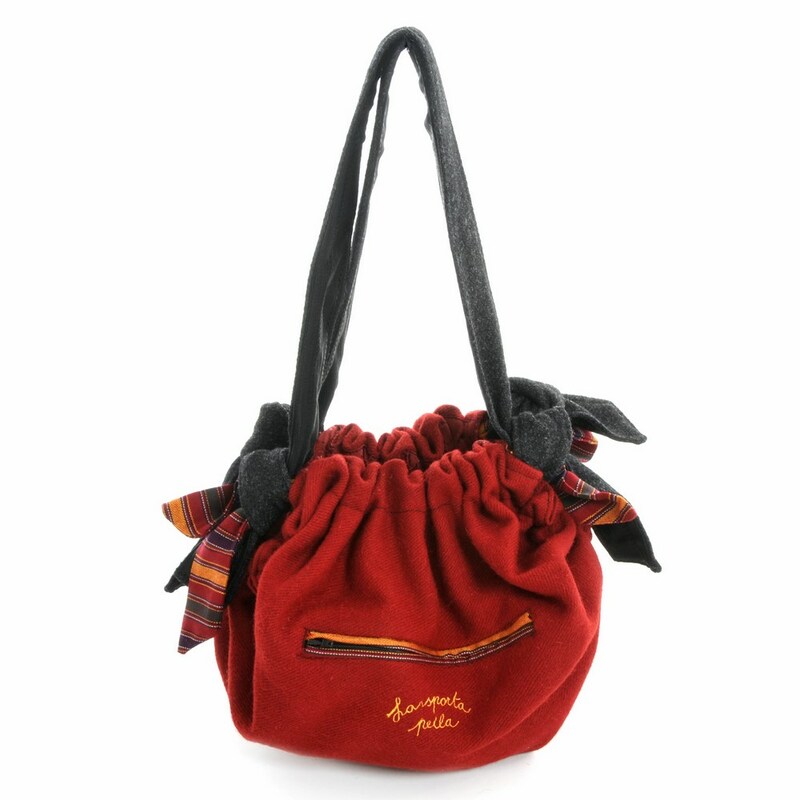 Created on the pattern of an ancient Italian model, this bag is made of red coarse woollen fabric with the patterns of the traditional clothes. Woven in Samugheo - Sardegna. 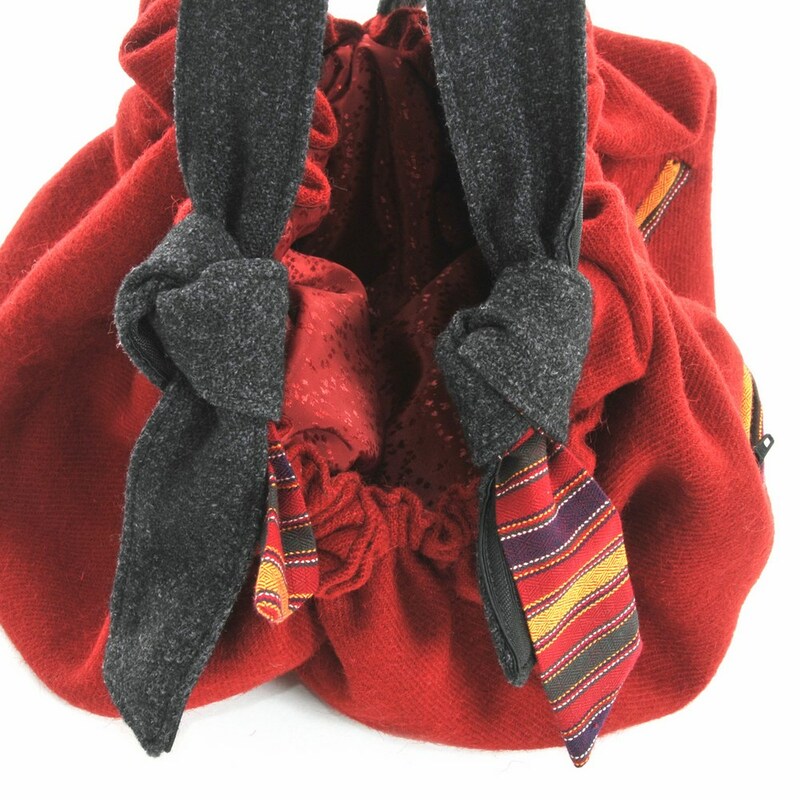 The bag is fully reversible. 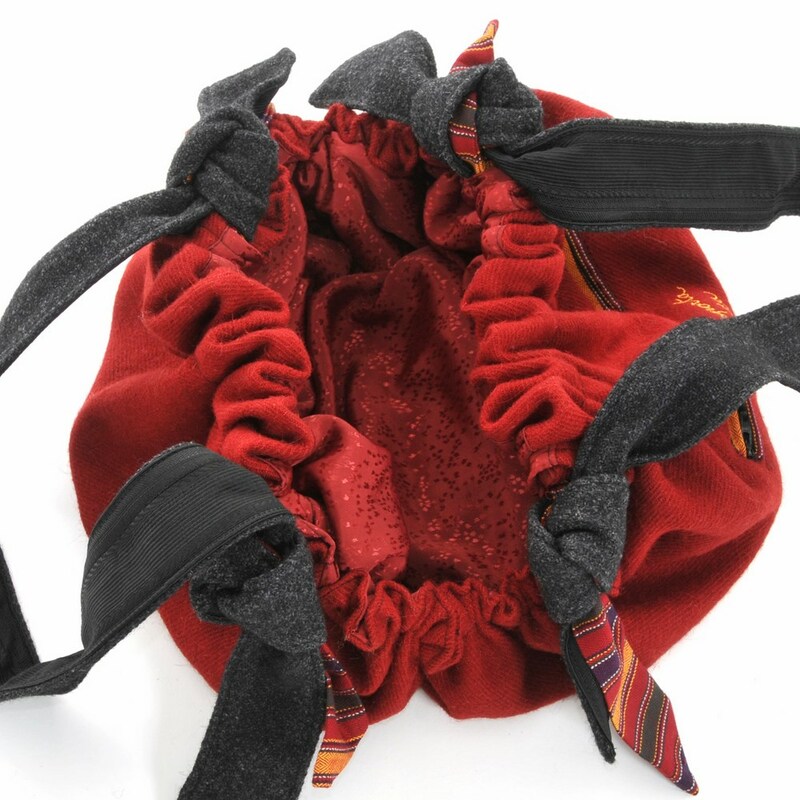 The internal is in red silk from Bhutan and has an internal or external pocket with zip-fastener. Adjustable handles - cm 26. Dimensions: 26x25. Handmade in Italy, unique piece of the brand Paola Peila®.